With four isolated channels and up to 7 hours of battery life, the lightweight THS3000 Handheld Oscilloscope Series enables you to safely make floating or differential measurements on your bench or in the field. Now you can tackle tough environments with the performance you expect from Tektronix – safely and affordably. The THS3000 series handheld oscilloscope makes all the high performance measurements you'd make at your bench plus floating measurements on four channels. With 7 hours of continuous battery operation, you've got the portability and power to work in tough field environments without interruption. The 4 fully isolated and floating channels are 600 Vrms CAT III rate and allow for safe and easy measurement of 3-phase power or simultaneous capture of digital controls and power signals. 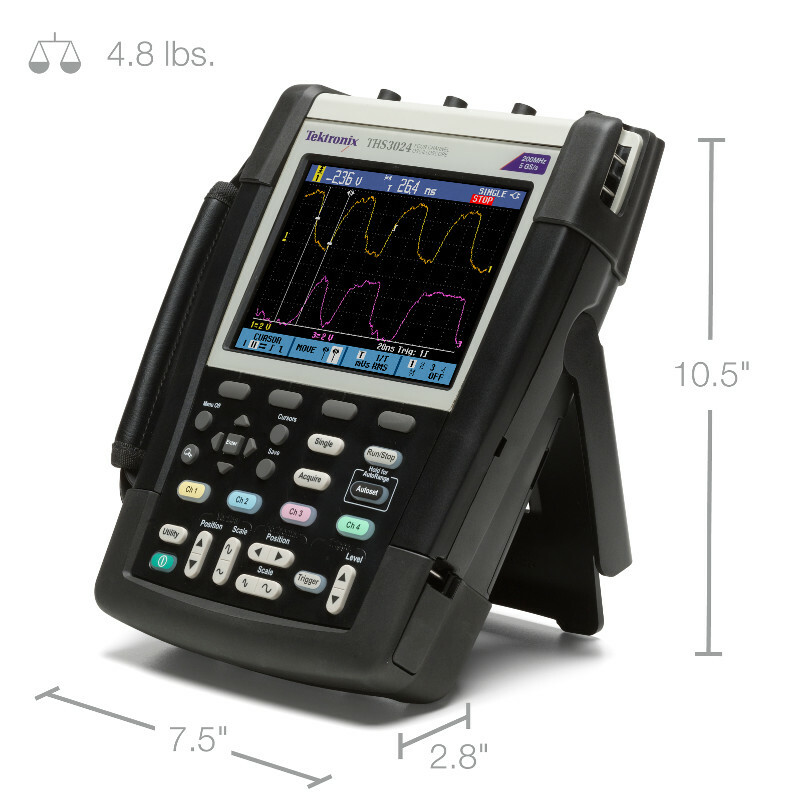 With up to 200 MHz bandwidth, 4 channels, and 5 GS/s maximum sample rate, the THS3000 Series offers benchtop performance in a handheld package. It has 10,000 points record length per channel, enabling you to capture more signal information at higher sample rates to clearly see signal details. Powerful built-in analysis tools speed debugging and validation. Get measuring quickly and confidently with an intuitive user interface and dedicated front-panel controls. The autoset function automatically sets up the trigger system and color coded waveforms make signal identification easy. 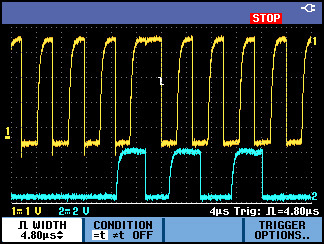 Is it possible to export a .csv file from the THS3000 Series Oscilloscope? This manual describes the performance verification and adjustment procedures for the oscilloscopes. This manual describes the memory erasure procedures for the oscilloscopes. This manual provides operating information for the THS3000 Series Oscilloscopes. This manual provides safety, compliance, and installation information for the THS3000 Series Oscilloscopes. This guide will provide you with a fundamental glossary of power measurement terms, explain the different options available for making floating measurements, and highlight the advantages and trade-offs of each option. This manual describes the performance verification and adjustment procedures for the THS3000 Series oscilloscopes.